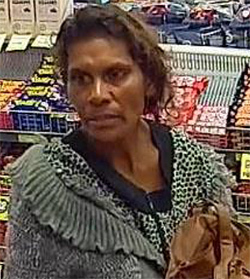 A $250,000 reward was announced by police on Friday in a bid to solve the murder of Connie Watcho in Brisbane in September 2018. A member of the public located Ms Watcho’s remains in grassland at the base of the Kangaroo Point cliffs on September 10. Police from Dutton Park CIB established Operation Quebec Graphics to investigate the circumstances surrounding Ms Watcho’s death. Ms Watcho was last been seen at Kangaroo Point on November 27, 2017. Detectives from the State Crime Command’s Homicide Group and South Brisbane District detectives have conducted the investigation but still need further information from the public to help bring answers to her family. The award was announced by Detective Inspector Mark Thompson and Detective Inspector Damien Hansen. “Should anyone have information they feel important for us to know or that might help us solve this murder, we strongly encourage you to come forward and speak with us now,” Det Insp Hansen said. An indemnity from prosecution has been offered to anyone not directly involved in Ms Watcho’s murder. Police are also seeking information about a grey “Urban Style” brand bag that was found at the crime scene. It is described as just under a metre in length and had its handles removed.